This is a new design dollhouse miniature accessory! Shabby planter in 1/12 dollhouse miniature scale. Inspired by a design I saw in a home decor magazine, I made these pastel range of new dollhouse miniature planters! These are extremely versatile. You can use them to put mail, newspaper, flowers or even kitchen utensils. This listing is for 1 shabby planter. 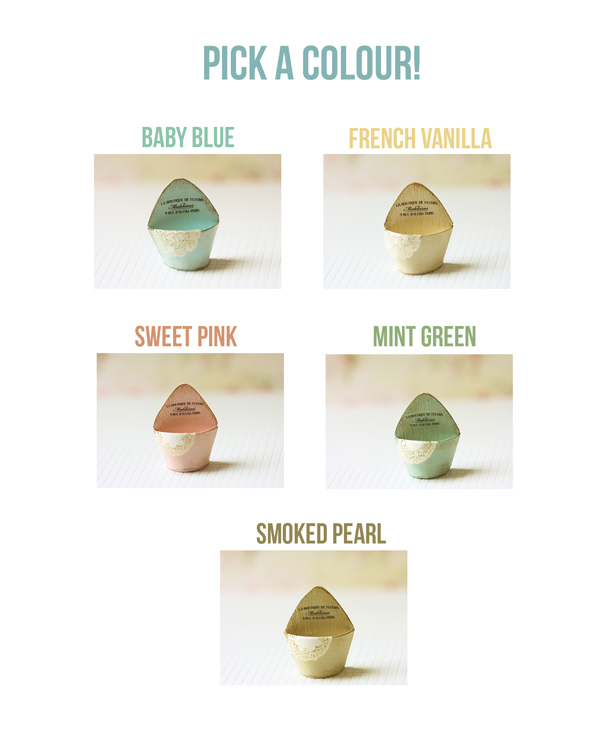 You can use the Contact Me form to let me know your colour choice after you purchase. Don't worry though even if you forget to do so, as I will always contact you to know your colour preference before I mail it out. French chic planter measures approximately 2.5cm wide and 3cm tall. Also suitable for your Lati Yellow Dollhouse or Roombox!